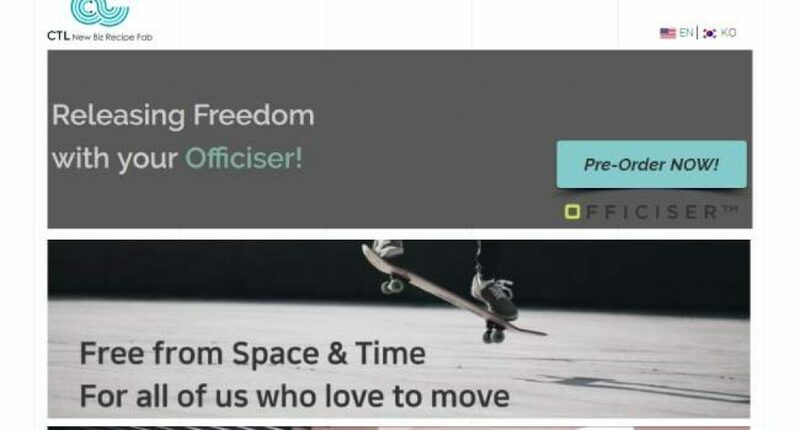 Officiser allows you to ‘walk while sitting’ and ‘surf at your desk, literally’. It’s something that breaks free of the limited space & time, and lets everyone continue the activities that they love in their daily lives. Our passion is to be the small change that makes the difference. We are a start-up that focus on the space and time that form our everyday life, to find the little things that will help us live a more fulfilled life. And we are dedicated to help you improve your body and mind, as well as recover the joy in your daily routines. We believe, together, we can make a positive impact in our community and contribute to a healthier and happier society. What problems does Officiser solve? This is our vocation – to combat sedentary health-risks, make our workplace something more fun & healthy. We have been striving to bring this idea to life. (The idea has been developing for 10 years now, really started developing since 2015, and have failed once (crowdfunding in Kickstarter), succeeded once (also in Kickstarter), and are back with the improved version for better experience. I, myself, was a office worker and wanted to interpret the long/tiring/boring sitting routines into a fun & active one. Previously worked 6 yrs in HR, 7 yrs as Sales Rep in Global company, learning & refining the market approach views and strategies. Julee has faith that there is a solution for everything, and is a startup founder since Sep 2015, to create that solution in order to make this world a healthier place for all of us who spend most of our active hours -sitting down. She has been working with engineers to create a compact and office-friendly device, with hopes to create a new ‘Proactive Sitting’ culture in the digital era, which will be launching in 2016.